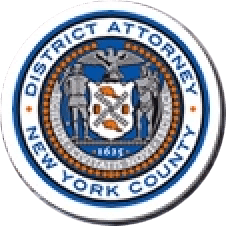 Manhattan District Attorney Cyrus R. Vance, Jr., and New York City Department of Investigation (“DOI”) Commissioner Mark G. Peters today announced the indictments of WILMER CUEVA, 50, and ALFONSO PRESTIA, 54, as well as their respective companies, SKY MATERIALS CORP. (“SKY”) and HARCO CONSTRUCTION LLC (“HARCO”), a/k/a “H&H Builders, Inc.,” for recklessly causing the death of Carlos Moncayo, a SKY employee, by failing to heed and address repeated warnings about unsafe work conditions at an active construction site. Mr. Moncayo was killed when an unsecured trench in which he was working collapsed and fatally crushed him. The defendants are charged in New York State Supreme Court indictments with Manslaughter in the Second Degree, Criminally Negligent Homicide, and Reckless Endangerment in the Second Degree. According to the indictments and documents filed in court, between December 2014 and March 2015, SKY, an excavation subcontractor, and HARCO, a general contractor, managed and oversaw construction work at 9-19 Ninth Avenue between West 13th and Little West 12th Streets in the Meatpacking District. During that period, CUEVA, as SKY’s foreman, and PRESTIA, as HARCO’s senior superintendent, were responsible for ensuring workers’ safety and observing basic safety precautions at the development site. As required by the New York City Building Code and Occupational Safety & Health Administration (“OSHA”) regulations, all excavations deeper than five feet must be fortified in order to protect workers from cave-ins before permanent support systems can be implemented. Common methods of fortification include shoring, which prevents soil movement by bracing trench walls with hard barriers, and sloping, which lessens the gradient of trench walls, decreasing pressure and the chance of collapse. In February 2015, Domani Inspection Services, Inc. (“Domani”) was hired to conduct inspections at the Meatpacking District site. From the outset of the assignment, a Domani inspector noticed that conditions at the excavation site were severely lacking with respect to workers’ safety. Moreover, the trenches at 9-19 Ninth Avenue were not secured by either sloping or shoring methods. Despite meetings with the defendants and repeated email warnings about these deficiencies, safety practices did not improve and persisted for a period of several months. On April 6, 2015, at approximately 9:45 a.m., a different Domani inspector arrived at the 9-19 Ninth Avenue site and noticed that a seven-foot-deep trench was unprotected by any system of fortification. The inspector rushed to alert PRESTIA, who was inside a trailer at street level with no sightline to the excavation pit. The inspector informed PRESTIA that no workers should be allowed to enter the trench while the sides were unfortified, and delivered the same directions to CUEVA, who was on site supervising excavation work. At approximately 10:35 a.m., the same inspector witnessed four workers inside the unfortified trench, which had reached approximately 13 feet in depth. The inspector informed CUEVA that the workers needed to get out of the unprotected trench immediately, and suggested an alternative method of completing the task at hand that did not require the workers to be inside the trench. CUEVA, however, refused the inspector’s proposal and did not halt ongoing work in the trench. The inspector ran to the trailer to alert PRESTIA, and went back to the pit to reiterate his concerns to CUEVA. At this time, both of the defendants had received two separate and individual warnings about inadequate safety conditions in the trench. Nearly two hours after receiving the first warning, PRESTIA left the trailer at approximately 11:30 a.m. and, in English, instructed the workers to get out of the trench. However, the workers—who spoke primarily Spanish—continued working in the trench. A SKY employee approached by the Domani inspector about the unsafe conditions spoke with CUEVA, and at approximately 11:50 a.m., CUEVA called out to the crew in Spanish. Moments later, the trench collapsed and fatally crushed Carlos Moncayo, a 22-year-old worker. Due to unsafe excavation practices, the New York City Department of Buildings (“DOB”) immediately issued a Stop Work Order against HARCO, and suspended HARCO’s license to perform general contracting services in New York City. DOB also subsequently issued a Stop Work Order at another construction site on which SKY was serving as the excavation subcontractor. Assistant District Attorney Diana Florence, Senior Investigative Counsel of the Rackets Bureau, is handling the prosecution of the case with the assistance of Assistant District Attorney Carey Ng and under the supervision of Assistant District Attorneys Judy Salwen, Principal Deputy Chief of the Rackets Bureau; Jodie Kane, Chief of the Rackets Bureau; and Executive Assistant District Attorney David M. Szuchman, Chief of the Investigation Division. Trial Preparation Assistants Devon Rettew, Stephanie Alvarez, and Phoebe Bodurtha provided additional assistance. District Attorney Vance thanked the following agencies and individuals for their assistance with the investigation: DOI, and in particular, Deputy Commissioner and Chief of Investigations Michael Carroll, First Deputy Commissioner Lesley Brovner, Associate Commissioner Michael Carroll, Inspector General Gregory Cho, Chief Investigator James McElligott, Chief Investigator Barry Romm, Assistant Inspector General Tiffany Dumas, and Director of the Computer Forensics Unit Erskine Fleming; OSHA, and in particular, Assistant Area Director of the Manhattan Area Office Mitchel Konca; and NYPD, and in particular, the 6th Precinct Detective Squad, including Sergeant Kevin Blake and Detective Ryan Glas, and the Manhattan South Homicide Squad, including Detective John Flynn. As outlined in the New York City Building Code, the role of an inspector in this capacity is limited to testing the integrity of the finished concrete underpinning to ensure that it is safe. It is not the inspector’s job to monitor worker safety or to make decisions about the means and methods used to create the underpinning.